Thank you for reviewing the information that is presented below. Please note that not all of the information presented to you are services that are provided by Wyoming Retina Associates, P.C. and is only meant to be informative. Please call the office at 307-237-3937 if you have questions related to services we do provide. Ophthalmologists use lasers to correct refractive errors of the eye, such as the ones causing nearsightedness, farsightedness and astigmatism. 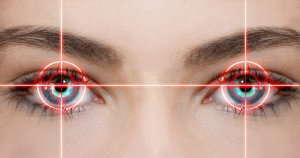 Lasers are also used in other vision correction procedures, such as laser cataract surgery. Here’s a summary of the main laser technologies used in vision correction surgery. A femtosecond laser is an ultrafast, infrared laser that emits ultra-short pulses, each of which lasts about one quadrillionth of a second (i.e., a femtosecond). The FDA approved femtosecond laser technology for use in LASIK, or laser in situ keratomileusis, surgery in 2001. While many people achieve excellent visual results from traditional LASIK, bladeless (all-laser) LASIK methods that involve using a femtosecond laser instead of a mechanical surgical blade to create the initial flap in the surface of the cornea provide an added layer of precision and safety. In fact, using a femtosecond laser for corneal flap creation eliminates all risks associated with manual flap creation. There are several femtosecond lasers available for vision correction surgery, including the IntraLase, Femtec, VisuMax, VICTUS, LenSx, WaveLight FS200 and Femto LDV lasers. Excimer lasers emit high-energy pulses of ultraviolet light. Ophthalmologists use them in LASIK, PRK and other laser-assisted refractive surgical procedures to remove microscopic particles of corneal tissue to reshape the curvature of the cornea, thereby correcting the refractive error that is causing astigmatism, farsightedness or nearsightedness. While there are several excimer lasers available on the market — including the Nidek EC-5000, Allegretto WAVE, Star S4 IR and VISX Star, among others — one does not necessarily outperform another. The most appropriate excimer laser for each patient depends on the person’s specific visual and anatomical needs, such the degree of the patient’s refractive error or the thickness of his or her cornea. Many excimer laser platforms include wavefront imaging technology. With wavefront imaging, the ophthalmologist is able to create a digital map of the eye’s unique topography, including highly subtle eye errors called higher-order aberrations, before LASIK and other vision correction procedures. This information is used to calibrate the excimer laser, so it delivers extremely precise, customized vision correction treatment. Are you considering refractive or cataract surgery? Call our office today, so we can guide you through your vision correction treatment options, including your laser-assisted surgical options.